The Houndshill Shopping Centre management team approached Deeper Blue to work as part of a coordinated design and PR team, to oversee the marketing strategy, coinciding with an overall refurbishment of the Centre costing approximately £42m, incorporating everything from advertising and PR to in-store events and promotions and monthly newsletters of tenants. The brief was simple, attract more people to the Houndshill Shopping Centre from the Fylde Coast that would ordinarily go to nearby Preston or further afield to the Trafford Centre and other such retail parks. 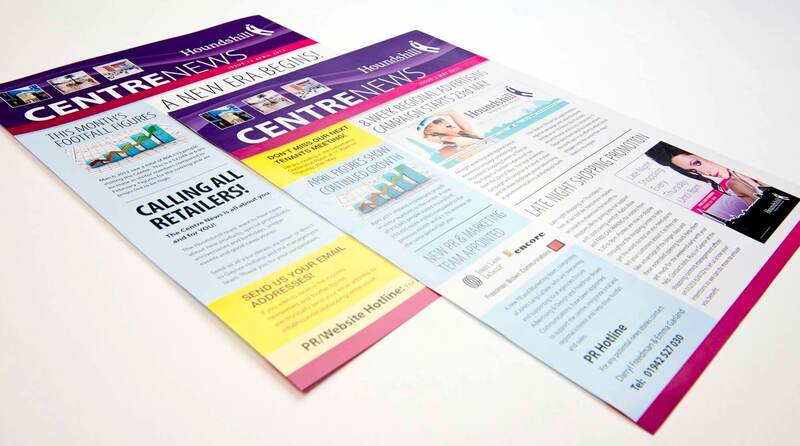 The resulting design highlighted the number of quality high-street brands that were now available in the centre with a strong message that the Houndshill was the only place to shop on the Fylde, whilst retaining some of what the seaside town is famous for. The outcome was a 12 month regional 6 and 48 sheet poster campaign around strategic bus and train routes throughout the Fylde and a bus-back campaign on chosen bus routes around the North West. 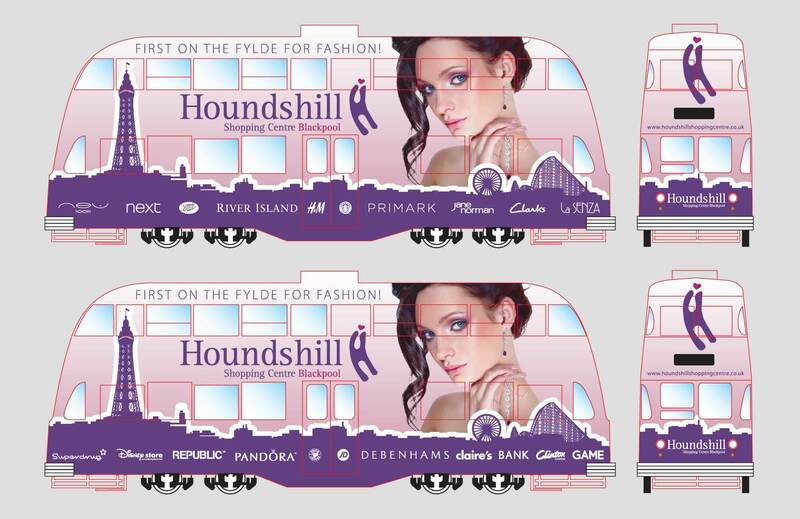 The Houndshill Brand was also re-enforced in Blackpool with a full graphical wrap of a number of it’s iconic trams. Once the message that the Centre was one of the best places to shop had been cemented, the following 6 months saw a switch to a more fashion and lifestyle orientated design approach but still pushing the top high-street brands available.